It&apos;s time to play here like you live here. Break out those flip flops and leave those dressy clothes back home. When visiting Florida&apos;s Space Coast, the mayor could be surfing in front of your hotel and a rocket scientist could sit next to you at dinner. Here, it&apos;s laid-back and you&apos;ll feel part of our crew in no time. Sunrise Bread Co. – Before you make your way to the Merritt Island National Wildlife Refuge or Kennedy Space Center Visitor Complex, check out Sunrise Bread Co. in Downtown Titusville. 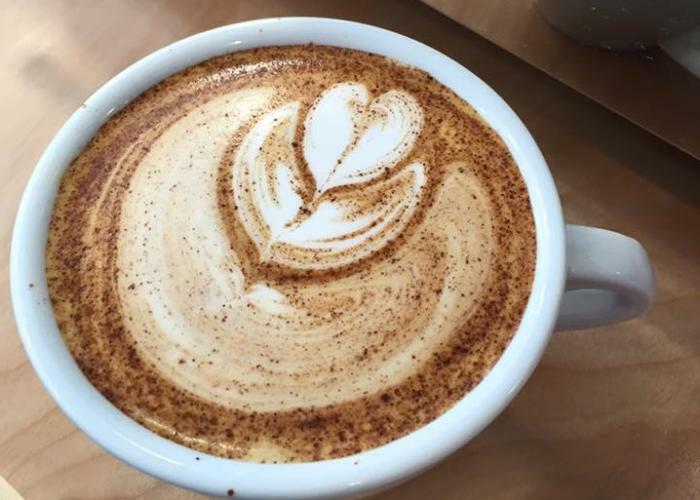 Sip on a latte and take a bite out of one of their goodies like a cinnamon roll. Many locals will order and venture upstairs to work or socialize peacefully. Ossorio Bakery & Café – Located in the heart of Cocoa Village, Ossorio Bakery & Café has made a name for itself with the locals. Not only is their coffee roasted on site, but the locals are especially drawn to this café because it’s in a captivating part of town. Their menu features hand rolled pastries and omelets to homemade ice cream, salads and wood oven pizza. Juice ‘N Java – After you catch a wave or two, you’ll want to refuel at Juice ‘N Java. About one block from the Minuteman Causeway beach lies this home-grown café that features local artist’s artwork, as well as a full coffee and espresso bar. And if you’re looking to grab a bite to eat, their menu offers bagel sandwiches, breakfast wraps, soups and salads. Anaya Coffee – Surrounded by art galleries and boutique shops, Anaya Coffee focuses on handcrafted coffee. Local artists like Derek Gores, as well as EGAD Director Lisa Packard frequent the quaint café that also serves fresh, organic eats daily. Indian River Coffee Co. – Minutes from the Orlando Melbourne International Airport is locally founded and operated Indian River Coffee Co. This coffee shop custom roasts coffee beans on site, and is equipped with a drive-thru, ready to serve customers in route to their next destination. Sun Shoppe & Café – Kick back, relax and enjoy daily house blends and snacks. The Sun Shoppe has those regulars that frequent the café every. single. day. which is good for you if you’re hoping to dig the local vibe. One local suggests trying the black & white latte! The Blueberry Muffin – Grab a coffee and a muffin (they have over 10 to choose from) and dig the local vibe of this quaint café in Indialantic. It’s a mom and pop type place, but it’s cozy and a favorite among the locals for the last 30 years. Steve’s Family Diner – Great food, great prices and a family-friendly environment await you at this all-American diner in Titusville. Locals, like Vice-Mayor Walt Johnson, love dining at Steve’s Family Diner anytime of the day but especially at lunch. Papa Vito’s Italian Restaurant – From the outside it may not look so great, but step inside and be pleasantly surprised. Papa Vito’s atmosphere is family-friendly and the food will be some of the best Italian food you’ve ever tasted. Café Surfinista – You know this place is great when local and 11-time world champion surfer, Kelly Slater, stops by when in town. Their menu includes acai and pitaya bowls, smoothies, and light lunches. And on any given morning, you can look around and find a collection of locals making themselves at home. Grecian Garden Café – Family-owned and voted best in town, the Grecian Garden Café is often full of local residents and business owners meeting over lunch. Featuring gyros and other Greek cuisine like spinach pie, Greek salad, grape leaves and much more, this is one place you’ll want to visit while in town. Da Kine Diego’s – This surfer hangout is just steps away from the beach and may be nothing but a simple taco stand, but Da Kine Diego&apos;s serves HUGE burritos with HUGE flavor. Aside from burritos they offer soft tacos, nachos, and fresh salads. With outdoor-only seating, this beach-themed surf shack is great for kids and a favorite spot among the locals. Mustard’s Last Stand – Established in 1987, Mustard’s Last Stand is a Chicago style eatery with a welcoming, community style patio. Drop in and grab a quick bite to eat, and you’re sure to catch locals on their lunch break or just hanging out enjoying Melbourne’s beautiful weather. La Crepe de France – You may not think that crepes can be filling for lunch, but their savory crepes are a real treat! The Parisian is a local favorite, which includes turkey, sliced apples, glazed walnuts, brie and honey. Oh, and you’ll definitely want to save room for desert, especially the S’mores crepe with speculoos, Nutella and marshmallows. 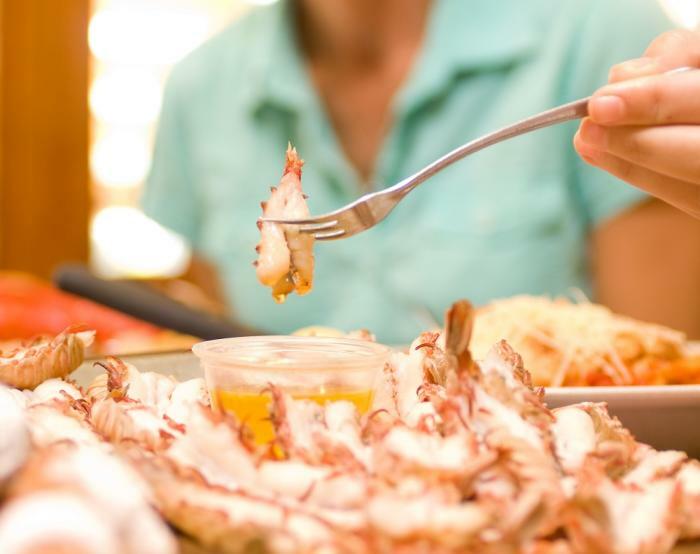 Dixie Crossroads - Serving Florida&apos;s finest seafood for over 30 years, this iconic family style eatery is legendary for its seasonal wild caught local shrimp, corn fritters, steaks and prime rib. Local Laurilee Thompson owns this establishment and is often seen there dining. She has some great stories from when she worked on shrimp boats including when she captained a commercial boat out of Port Canaveral. Grills Seafood Deck & Tiki Bar - Located in the Cove at Port Canaveral, Grills Seafood Deck & Tiki Bar is a local favorite that serves an array of dishes from sushi to burgers to fresh Florida seafood and more. The atmosphere is always poppin’ with live music most nights, and it’s possible that the person sitting next to you is a rocket scientist who just got off of work. Plus, you’ll love seeing the fishing boats come in and watching cruise ships leave Port Canaveral. Even the locals, who experience it time and time again, still love it! Sandbar Sports Grill – After spending time at the beach, you’ll love hanging at this beachside bar and restaurant. It’s laid-back just like Cocoa Beach and has a mouthwatering menu sure to delight. 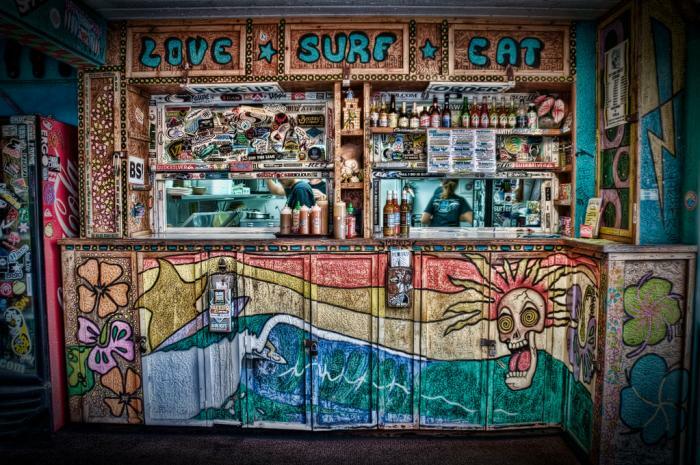 The locals rave about their fish tacos and their famous drink concoction, the hurricane. And it’s quite possible you’ll bump into some of the regulars that frequent the place. Crush Eleven - This riverside restaurant features rustic urban fare, unique specialty wines, and quality hand-crafted cocktails. The menu at Crush Eleven encourages guests to sample a variety of dishes and to share among friends and family. Pizza Gallery & Grill – Gourmet pizzas, garlic knots and a fun environment that showcases local art awaits you at Pizza Gallery & Grill. For those who don’t like pizza, they have other options available on their menu too, and if you’re gluten-free, the locals claim that their gluten-free menu and pizza is one of the best around. Sit on the patio, and you’ll feel like a local in no-time. River Rocks - The ambience at River Rocks can’t be beat. The Dock outside is casual, but the dining experience inside is a bit more sophisticated – the best of both worlds! The view of the Indian River Lagoon is a favorite among locals, and the food is divine, especially the River Rocks salad. The Mansion - Don’t let the name fool you! The Mansion is a casual restaurant in Downtown Melbourne that provides both indoor and outdoor seating. Many locals prefer the roof top terrace because of its stunning view of the Indian River Lagoon. The environment is a unique mix of dining, drinks, gourmet food and spirit shopping. You won’t be disappointed! Yellow Dog Café – Some nights and occasions call for fine dining, and the locals relish in going to Yellow Dog Café. Overlooking the Indian River Lagoon in Malabar, the outside appearance when you first pull up to the complimentary valet makes you feel like it will be an intimate dining experience, but once inside, there are multiple levels inside and out to dine at. The onion crusted Mahi can’t be missed, and the Caprese salad includes tomatoes grown right across the street from the restaurant. Oh, don’t miss the dessert! It’s an added bonus. Oasis Shaved Ice - After a day at the beach, you will love chilling inside Oasis Shaved Ice in Cocoa Beach. This shaved ice parlor is only two blocks away from the beach, and not only do they have a wide variety of shaved ice flavors. Oh, and the Harry Potter fans out there will love the Butter Beer shaved ice! I Dream of Yogurt - I Dream of Yogurt is the one and only self-serve frozen yogurt bars in Cocoa Beach. The shop’s 18 different flavors are rotated weekly, and there are more than 60 toppings to choose from. Plus, the shop is decorated in “I Dream of Jeannie” décor. 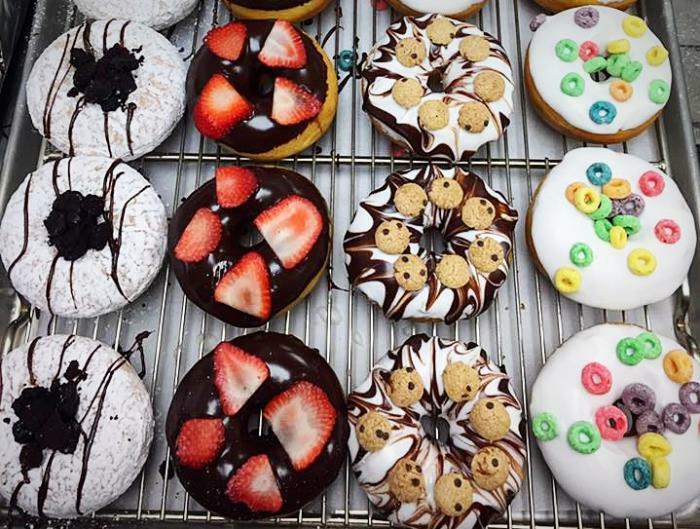 Sugar Shack Donuts - Locally owned and operated, Sugar Shack Donuts in Cocoa Village is not your typical doughnut shop. With flavors like bacon maple, apple cake, chocolate Butterfinger, and traditional flavors like glaze, sprinkles, and vanilla chocolate, these doughnuts are made fresh daily. And if you’re gluten-free, they have those too on select days. Check out their Facebook page for your chance to win a free house donut, daily! Del’s Freez - Don’t be intimidated by the long line of locals – it’s worth the wait! Del&apos;s Freez has been serving Melbourne since 1956. And earlier this year, Jay Leno stopped by for a treat while filming a show on Florida’s Space Coast. The Fat Donkey - The Fat Donkey Ice Cream and Fine Desserts located in Cocoa Beach offers a variety of dairy treats. Popular ice cream flavors include Butterscotch Bomb, Calypso Crunch, Mai Kai and Coconut Pineapple. Try a Zonkey – soft serve ice cream layered with sorbet or Italian ice. Or a Churro ice cream sandwich – a favorite among locals. Moo’s Soft Serve - Moo’s Soft Serve is located just across the street from the beach. The Indialantic location serves ice cream, yogurt, shakes, hot dogs, chilidogs and mini burgers. Walk up or drive-thru! Surfin’ Turtle Ice Cream Shoppe - Get ready for an old school ice cream shoppe experience that’s complete with a beachside theme. The shoppe serves mostly soft served ice cream, but their menu also include Dole Whip and Arctic Cyclone (a mix of ice cream and your choice of topping i.e. chocolate and peanut butter cups). Sundaes on the Beach - Sundaes on the Beach located on Ocean Avenue in Melbourne Beach serves Hershey&apos;s Ice Cream, Italian ice, fresh squeezed lemonade and smoothies. They also serve pet-friendly treats too! Grab a doggy ice cream sandwich to keep your canine friend cool in the Florida sun. Dottys Bar – Don’t expect too much from this low-key bar besides cheap beer, billiards, and darts. Hunkerdown Hideway – On a Sunday morning you can find the locals drinking Bloody Mary’s starting at 7 a.m. at this little hole in the wall. Their prices are low, and the atmosphere will make you feel right at home. Beach Shack - At this beach front bar in Cocoa Beach you can expect no frills and a bar that serves strong, affordable drinks with an amazing view. They also have live blues bands several nights a week. The Island Waterfront Bar – The covered deck area that overlooks the Banana River fills up fast at The Island, especially on weekend nights. The atmosphere is laid-back and fun with live music and its occasional Karaoke nights. 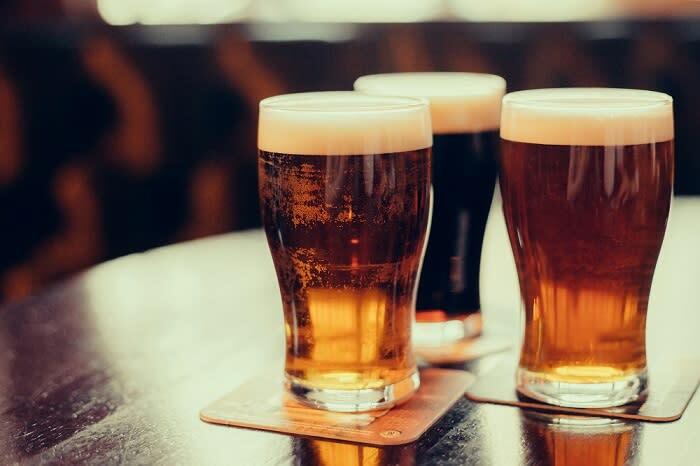 Village Idiot – Located in the heart of Cocoa Village, the Village Idiot has over two dozen beers on tap and many more in the bottle. Throughout the week, you can partake in their daily specials including trivia on Wednesday and Thursday. Plus, life size games like Jenga, over 20 board games to choose from, and live music on select nights. Pineda Inn – Casual and full of Florida style, the Pineda Inn is the perfect place for a relaxing night out. From the outside, it’s not that appealing but the food, drinks and local vibe you get inside makes up for that. There’s a little tiki bar outside with a sandy beach area that usually has live music, and some locals claim that it’s the best happy hour in town. Lou’s Blues – Lou’s Blue has always been Florida’s Space Coast most eclectic hotspots. Filled with live music and Karaoke on occasion, this multi-level bar in Indialantic is popular among the locals, as well as bikers. The prices are on point, especially during happy hour, and rumor has it that the ladies love the bar’s famous Blue Drink – a colorful, sweet and sour concoction that tastes like a Pixie Stix. Mainstreet Pub - Although Mainstreet Pub is on a bar-lined street in Downtown Melbourne, it has long been a standout for many reasons. To start, all their cocktails are made with fresh fruit. They also have drink specials every night except Sunday, as well as happy hour Monday – Friday, 4 to 8 p.m. and every day specials 8 p.m. to close. To top that off there&apos;s three different bars to choose from, so it’s like visiting three bars at one time. Don’t miss the Famous Orange Crush, which includes fresh-squeezed orange juice. Riverfront Park – On any given day, walk around Cocoa’s Riverfront Park and you’re bound to see locals having a waterfront picnic, kids playing on the playground, or passing through on their way to one of Cocoa Village’s many restaurants. Riverfront Park is 10 acres of prime riverfront property equipped with an amphitheater, splash pad, and boardwalk area for fishing. Treetop Trek – Believe it or not, many locals check out Treetop Trek every morning for their daily workout. Some hope to beat their time from yesterday while others thoroughly enjoy the activity. 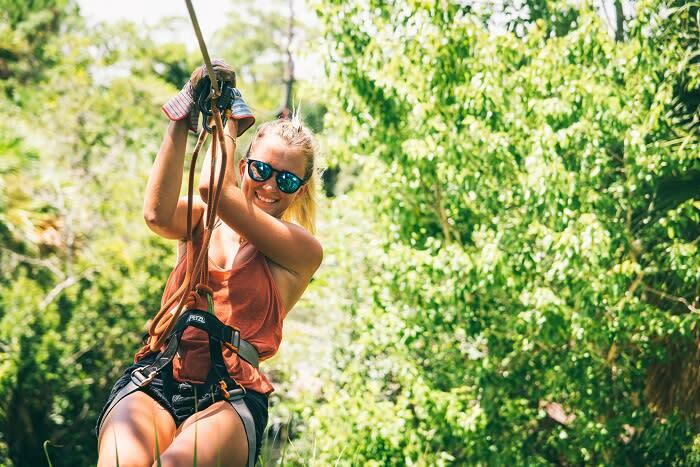 Move from tree to tree and challenge yourself with varying degrees of thrilling elements such as tightropes, crab walks, jungle bridges, nets, and best of all, zip lines. 2nd Light Beach - Located at the second traffic light as you travel south out of Cocoa Beach, this surf hotspot is a favorite among the locals. Smash Golf – Smash Golf is a new exciting sport that combines golf and tennis. It isn’t well-known throughout the United States, but here on Florida’s Space Coast, we have two Smash Golf courses within miles of each other – Turtle Creek Golf Club and Duran Golf Club. EGAD – Also known as the Eau Gallie Arts District, this vibrant art district in Melbourne includes the Foosaner Art Museum, art galleries, the “Jaws” esque mural, and restaurants. Many locals can be spotted here throughout the week dining and shopping, and on the first Friday of every month, the art district hosts EGAD First Fridays – a night of art, live music, food and community. Hightower Beach – Hightower Beach Park is a public beach side park where the locals like to play in the sun, surf the waves and at night, create memories by bon fire. This one of the few beaches that you can actually have a bon fire at on Florida’s Space Coast. On the Edge – At this indoor rock climbing gym, it’s likely you will meet locals getting in their daily workout or trying something new. With over 10,000 square-feet to climb, your face may hurt from smiling so much not mention those muscles you never knew you had.